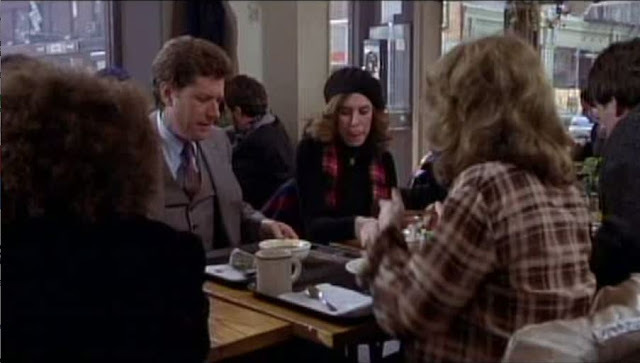 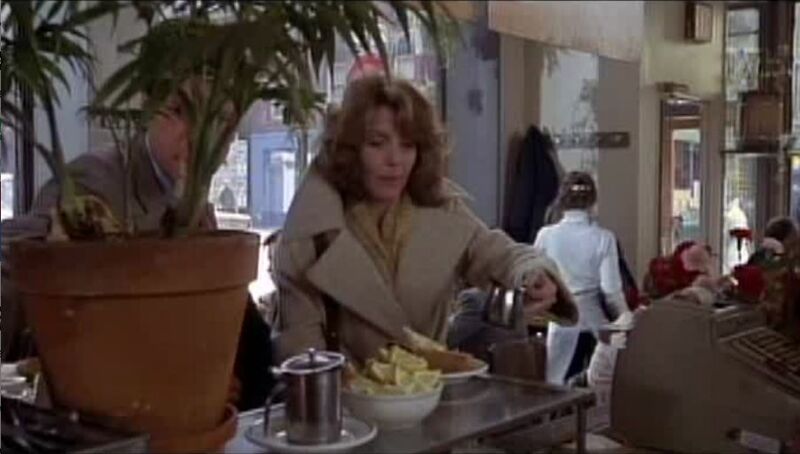 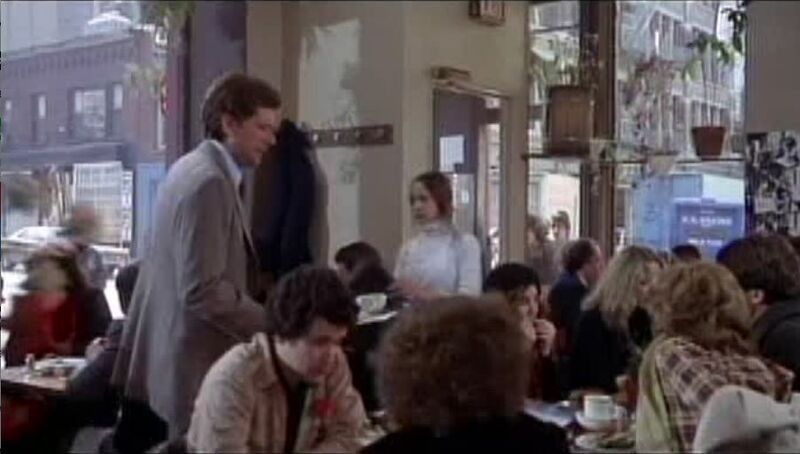 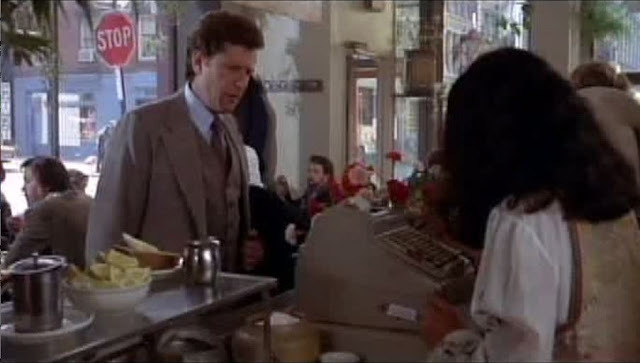 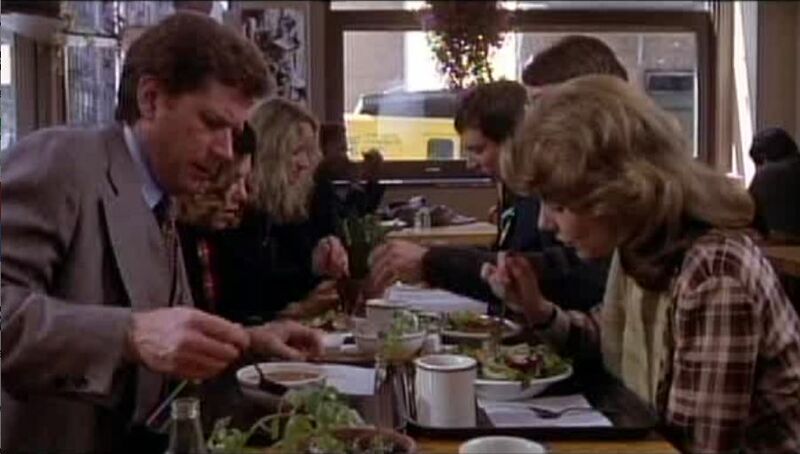 Showing their au-courant Soho-savvy bona-fides, upper-middle-class Martin and Erica (Michael Murphy & Academy Award winner Jill Clayburgh) have lunch in the restuarant "Food" where they begin to plan their summer beach house rental, right before Martin confesses his affair. 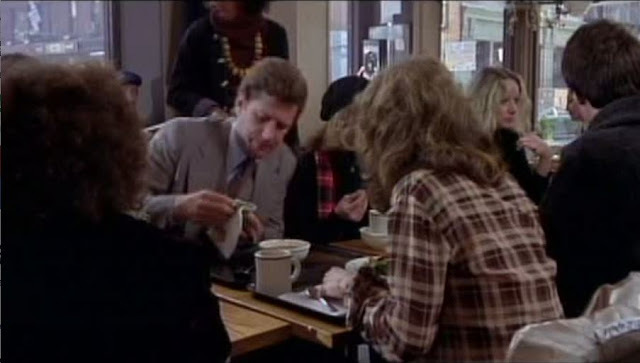 Opened in 1971 by mutli-talented artist Gordon Matta Clarke on the corner of Prince & Wooster streets, it featured an open kitchen, offered a high-quality, ethnically-diverse seasonal menu mixed with casual cafeteria service and served as a hangout for actual artists when Soho was the gritty epicenter of the New York art scene. 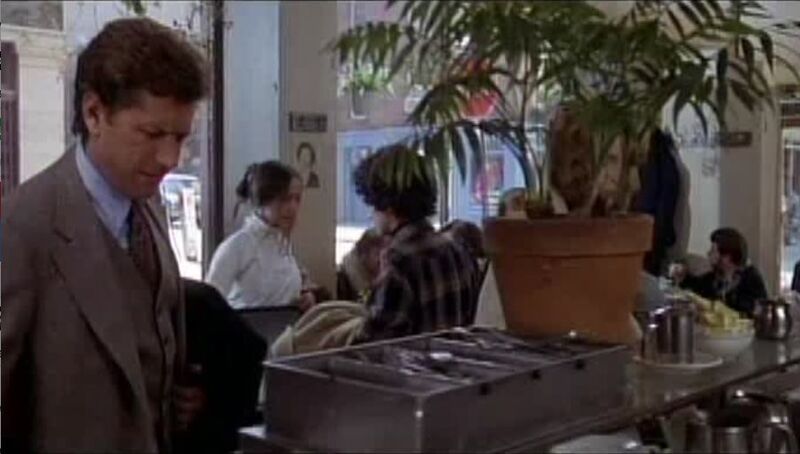 Yes I remember it well! !